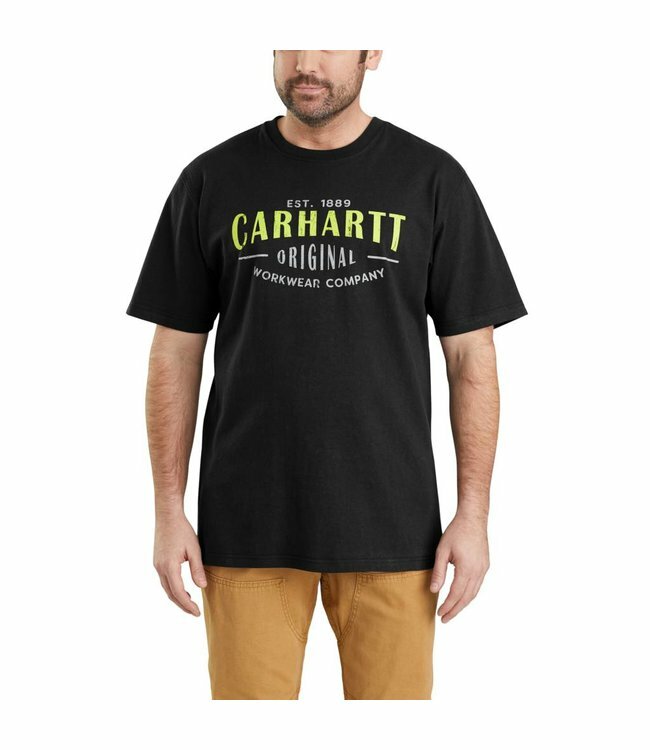 Men's midweight t-shirt with Carhartt graphics. Since 1889, Carhartt's been making hard work feel a little more comfortable. This men's crewneck t-shirt salutes the history with proud graphics on the front. It's made of midweight cotton that's soft to the touch.